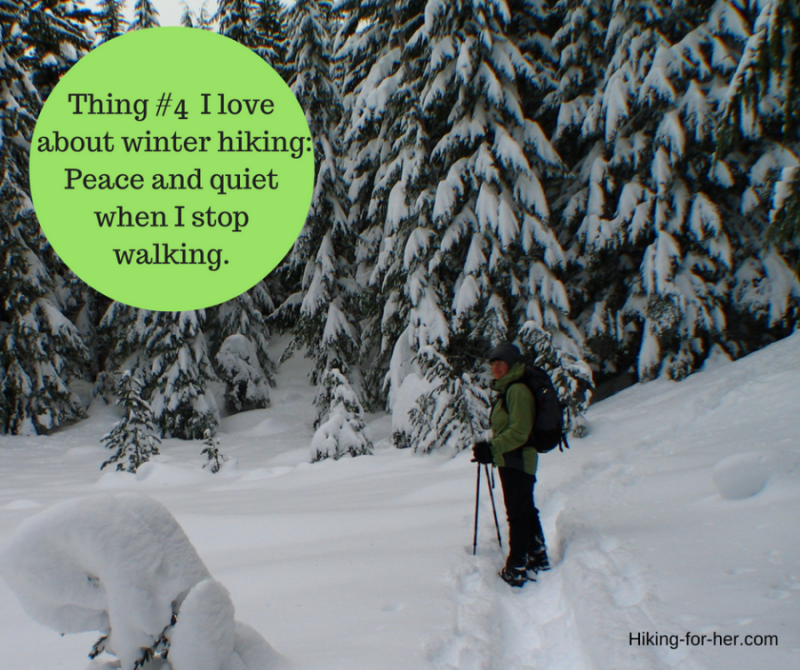 A lot of people ask me: Why winter hike? 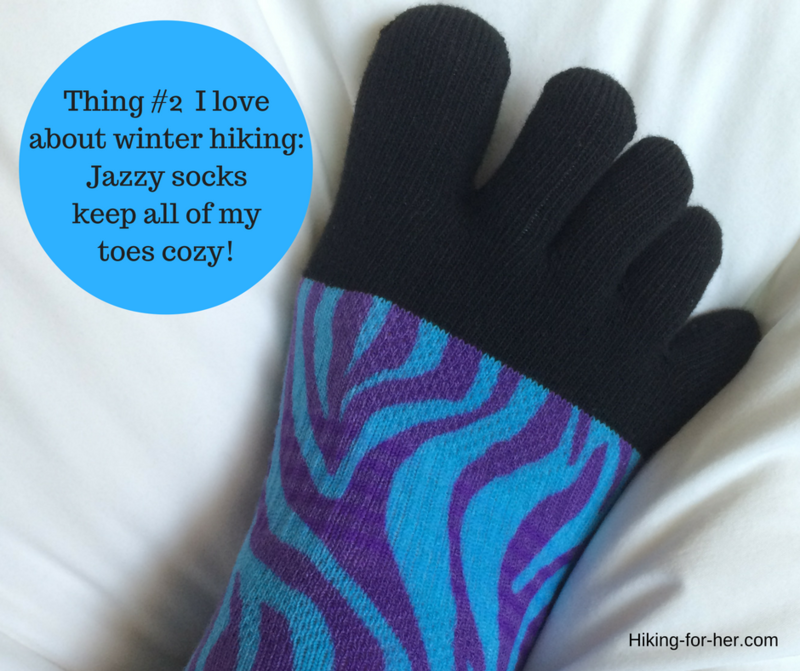 Winter hiking demands more from your body. It requires a lot more preparation with your gear, your clothing, and your attitude. But the rewards are huge. 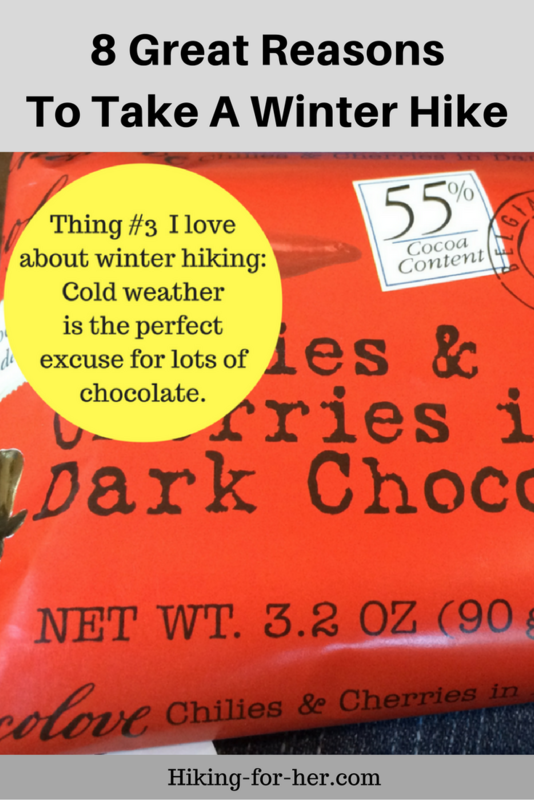 Here are 8 great things to love about winter hiking, in no particular order. I'll also share some tips to make your winter outdoor adventures safe and enjoyable. Just want the winter hiking tips? While it's true that you can sail over rock piles covered by snow, you're going to have to rely upon your navigation skills. Get some insight into staying safe and un-lost here. To decide if these socks are for you, read a review of them here. 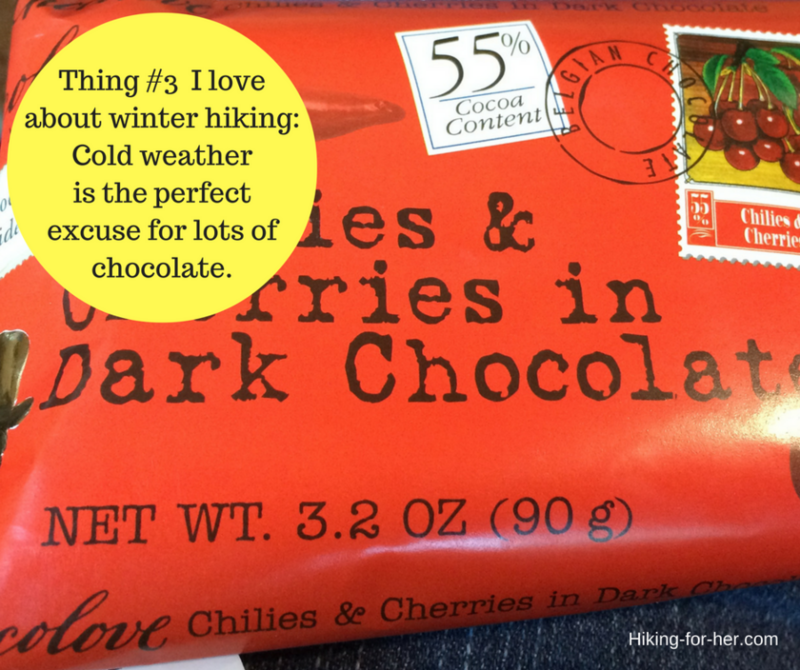 And to enjoy an extra dose of hiking chocolate. Solo hikers know what I'm talkin' about. 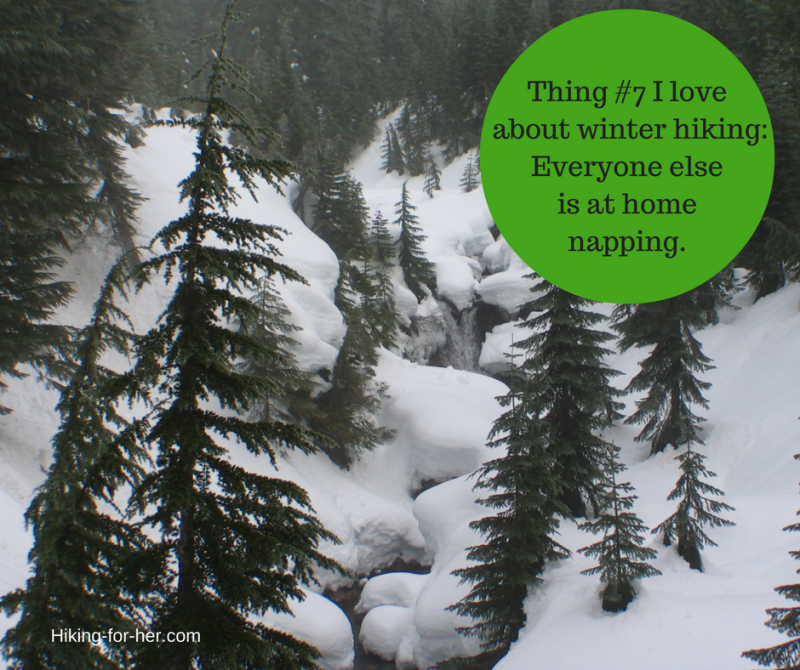 Experience it for yourself on a winter hike! Seriously? You need to stay hydrated even when you don't feel thirsty - so don't pass up those free fir-sicles. Read about more ways to keep your hydration levels high here. Being bear aware is necessary at other times of the year, though. 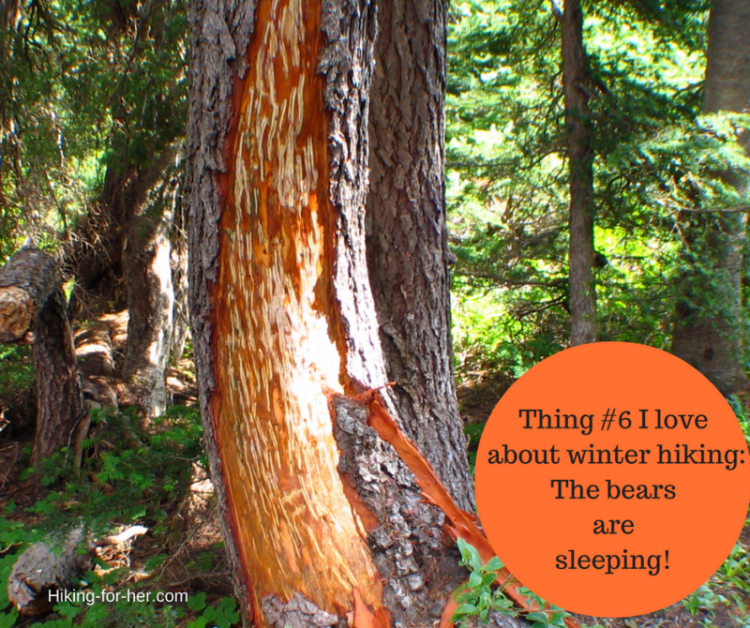 Need some tips for hiking in bear country? Right here! Be sure your weather window for safe winter hiking is a good one! Or you'll wish you were on the couch napping, too. Pre-hike conditioning and strength training is always a great idea, especially if you plan to tackle a long trail next season. 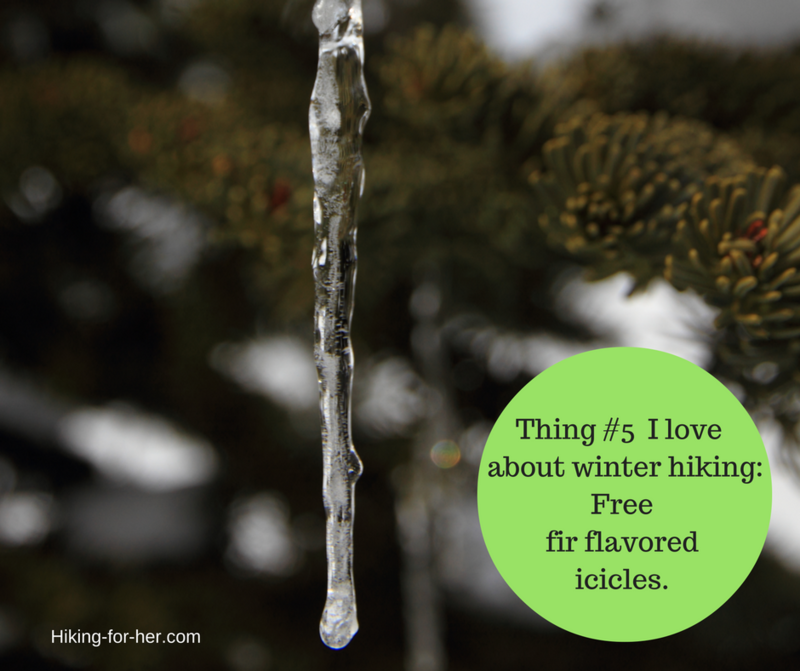 Hiking For Her's 8 reasons why winter hike adventures are just as much fun as summer hike adventures (if not more). I hope at least one of them will resonate with you. 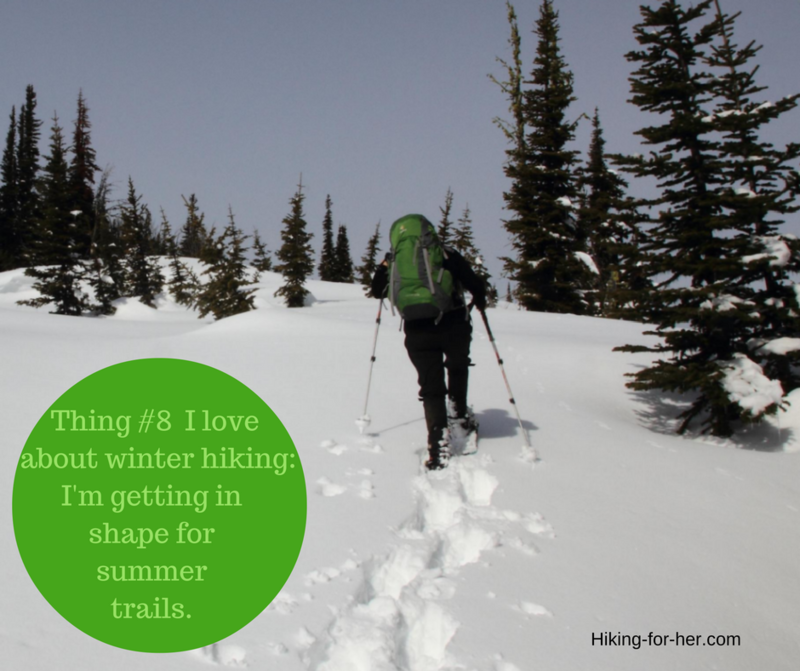 And if you're a "summer only" hiker, perhaps you will be tempted to get out there and give winter hiking a try. Send me an email, using this handy CONTACT link. Also send any questions you have about how to get started. 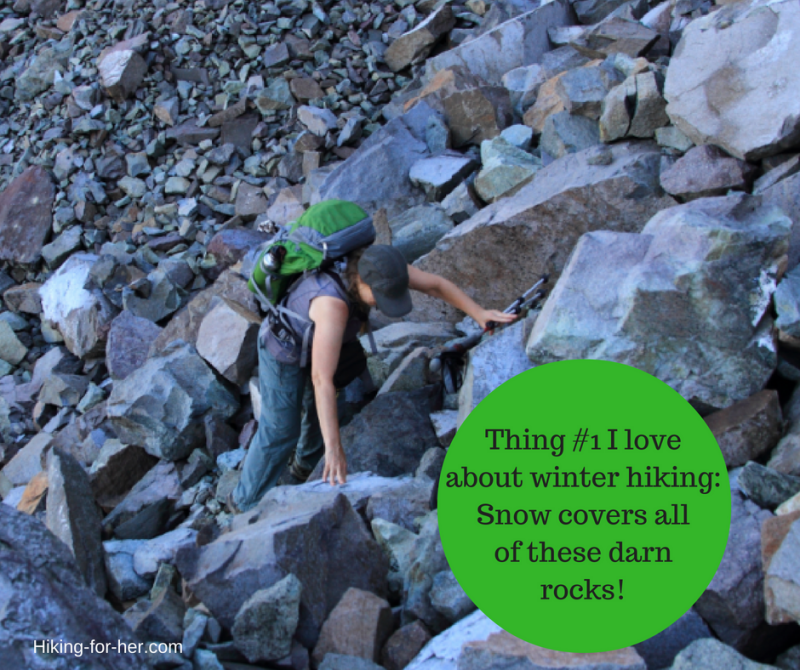 Need some tips for getting yourself ready for a winter hike? After reading all of that great information about winter hiking equipment and preparation, you'll be ready with your own answer when people ask, right?